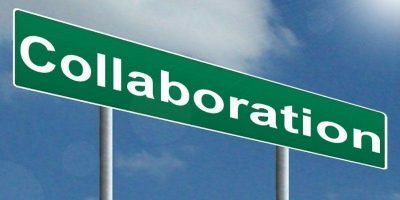 One of the advantages of using a Web based office suite is that it allows you to share the document with your friends/colleagues and get them to collaborate on the document. 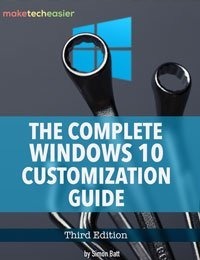 On the other hand, using Microsoft Office on your computer allows you to make use of the rich formatting/editing tool to improve your productivity. 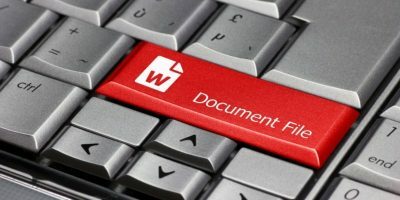 Wouldn’t it be great if you can get the best of both worlds, by editing your documents in Microsoft Office, and upload/publish/sync the edited version back to the web based office apps? 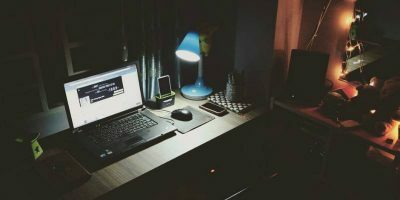 In this article, we will see how this can be done with three popular online office suite – Google Docs, Zoho and Office Live. Since Microsoft Office 2003, add-ins have been a great way to extend the functionality of Ms Office. 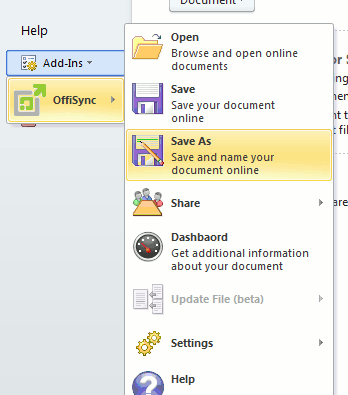 OffiSync is one such add-in that you can use to sync your Ms Office document to Google Docs. After you have downloaded and installed OffiSync, you will find a new toolbar in the ribbon. Features include Open/Save from/to Google Docs, import web content such as images and templates right from within MS Office, collaborate with others in real time, letting users see each other’s edits as they work with Office files and share their final documents with others inside or outside the firewall. OffiSync works with Microsoft Word, Excel and PowerPoint, and compatible with Ms Office, from 2003 to 2010. 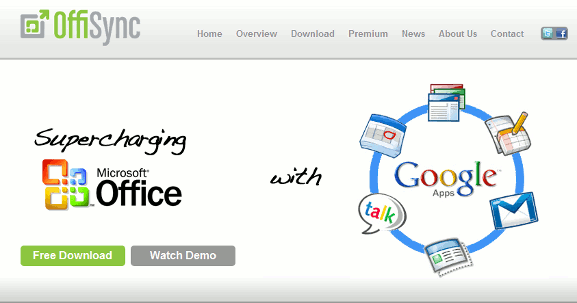 Zoho is another popular online office suite that people used for mass-editing and collaborating. 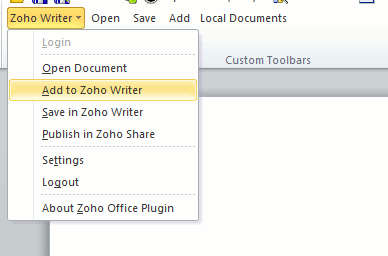 To access Zoho from Ms Office, you can use the add-in developed by Zoho themselves. Similarly, after the installation, you will find a toolbar at your ribbon menu. To initiate a upload to Zoho server, you will need to login to the Zoho account everytime you start Word/Excel. 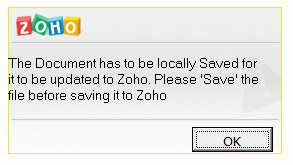 One thing that bothers me is that to save to Zoho server, you need to save the document as a local copy on your desktop first. Furthermore, it only supports doc and xls extension. So if your document is of the docx and xlsx format, Zoho upload won’t work. Unlike OffiSync, Zoho plugin only works with Ms Word and Excel. It does not work with Powerpoint. Office Live is Microsoft’s proprietary product, and is also a great competitor to Google Docs. Office Live is integrated with Skydrive, which means you get a whopping 25GB of storage space alongside the useful online office apps. In Microsoft Office 2010 (I am not sure about previous version), it is deeply integrated with Skydrive so that you can quickly publish/sync your documents online. 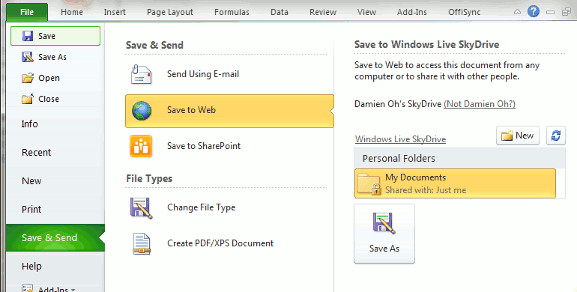 To save to your Skydrive, go to File -> Save and Send -> Save for Web -> Save As. From your Skydrive, you will be able to view your document in the browser. You can then select if you want to edit it in your Word/Excel/Power Point or in the browser. 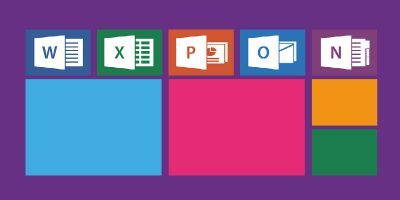 Which online office app do you use to sync your Ms Office documents?